This subject was new for me as I hadn't really painted manmade structures before. 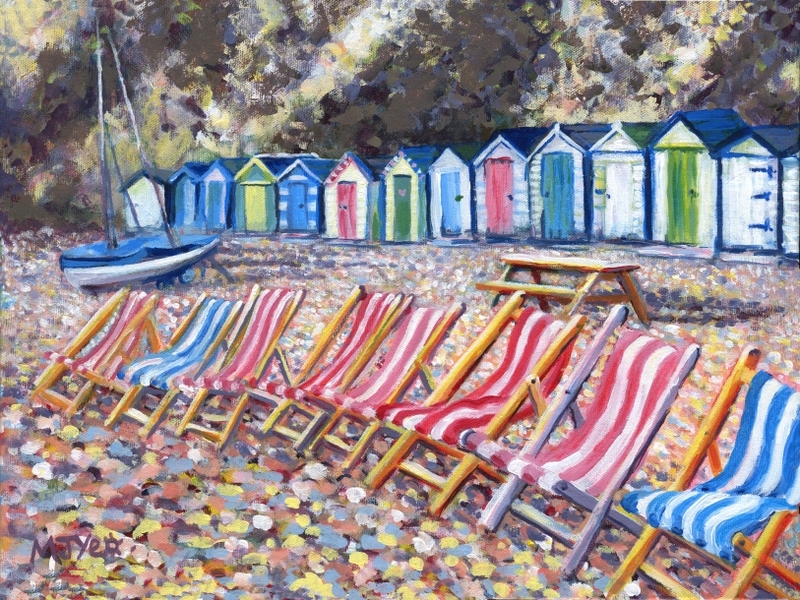 When I saw this scene on a Devon beach I liked the way the lines of deckchairs and beach huts were in parallel slightly into the distance, drawing the eye from right to left, and I also liked the perspective effect of the pebbles looking smaller further into the background. It struck me as a nice composition for a painting. The bright colours suggest life and busyness, yet the beach was very quiet as it was still autumn. I found the peaceful atmosphere with a slight feeling of desertedness somehow interesting.